Rampage wasn’t always the huge party that it is today. To get here the founder of the festival had to travel a long way. His name is Hans Machiels, or as you might know him DJ Murdock. In an interview he gave to Pulse Radio back in 2016 he explained what was happening in 2009, the year of Rampage’s first edition. 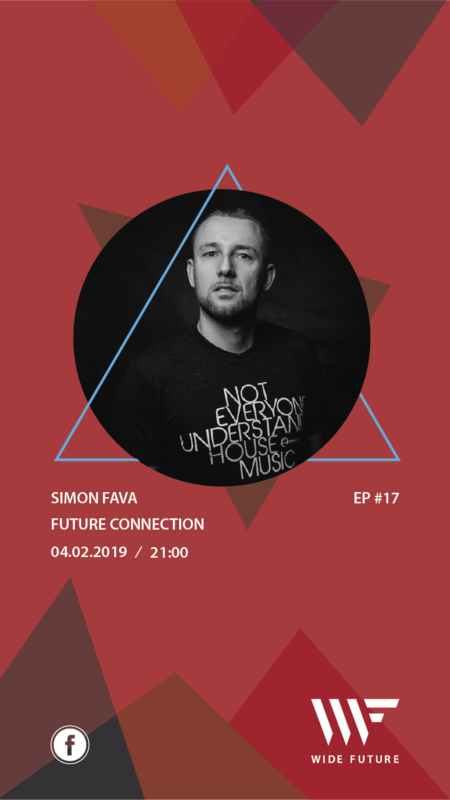 The festival fever had just started to reach bigger audiences and with festivals such as Tomorrowland starting it for Dance Music, it was time for him to take action. Like he said, many Drum and Bass festivals today started as parties created by people known to the scene (Let It Roll, Nu Forms, Hospitality). After reading his interview it appears that Hans is a very passionate man. His goal was to gather people with the same passion for music. 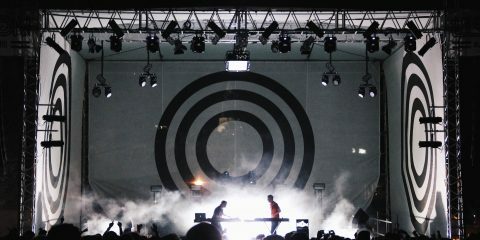 The first edition was focused towards Drum and Bass. Headlining we had Sub Focus, Danny Bird and Drumsound & Bassline Smith. The party occured in a venue called Trix. It had 1000 people present. To his vision, the success was due to the explosion of Dubstep that revived the passion for other subgenres of Dance Music such as Drum and Bass. At this time, Dubstep was not the north american phenomenon that we see nowadays. It was more focused towards Europe, which made Belgium the perfect place to bond both Dubstep and Drum and Bass due to all the influences from nearby countries, not only musically but culturally. 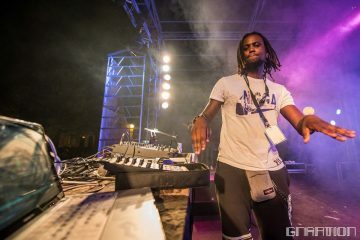 After the first edition, DJ Murdock highlighted events such as the Netsky album release party, an artist that he is known for discovering and showing the world, the Hospitality collaboration and a double weekender with Chase & Status at Petrol and DJ Marky at Trix. Events like this helped Rampage get to where it is today. Officially “the biggest Drum and Bass and Dubstep party in the Universe” it started booking international acts from day one and today it has the best lineup when Drum and Bass and Dubstep are put together. It started off with names such as Brookes Brothers, Sigma, Eptic, Emalkay, Culprate and many more. 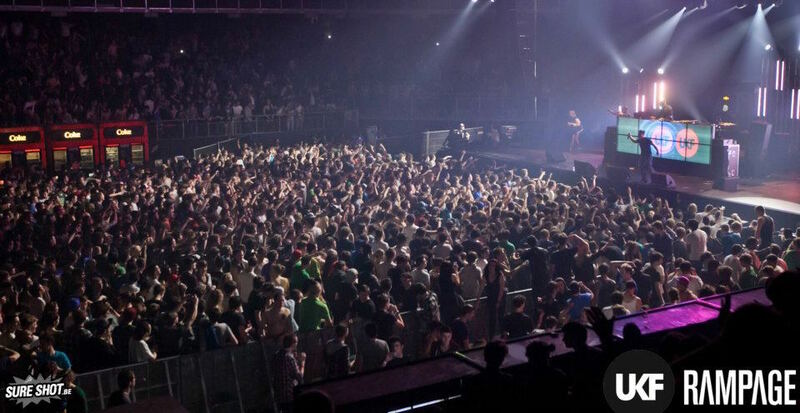 This was the first edition of 2012, hosted by UKF and happening at Lotto Arena, a smaller venue next to Sportpaleis, their main venue at the moment. 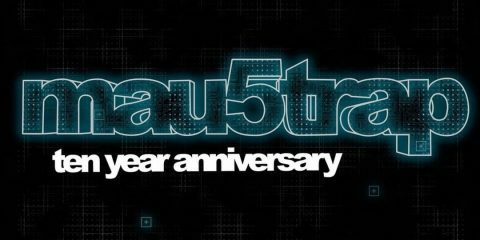 There was a second party in 2012, in September, also hosted by UKF with a different lineup, some might say more focused towards Dubstep. 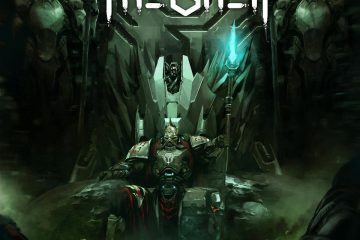 It had huge names like Skism, xKore and a very underrated name at the time Point.Blank. Drum and Bass was also really well represented. Speedrunning to 2013, the lineup was quite different but with a couple of names that were present in past editions. Jenna G was once again there with Sigma. There were a lot of new names but always focusing on European acts. The only artists outside Europe were Seven Lions and Heroes x Villains from the United States. The event still took place at Lotto Arena this year. In terms of MCs, the name that we automatically associate with rampage is MC Mota. A really big factor when it comes to Drum and Bass, he has been delivering for a very long time in this event. 2014 was a great year for Rampage. They had their first ever edition at a major arena, Sportpaleis. It is located right next to Lotto Arena but with a much bigger capacity, turning the event into something huge and never seen before. To meet the expectations, the lineup was highly packed this year. Sigma, Camo & Krooked, Flux Pavilion, Funtcase, Eptic, Murdock. All of these acts that nobody wants to lose, in a single event. UKF dominance was still present, with a new addition of Flux Pavilion making this almost a Circus Records showcase. Jumping to 2015, there is a clear dominance of new subgenres of Dubstep. Riddim starts to take place at the festival alongside new Drum and Bass names like Noisia and Dirtyphonics. The trend was set and the high investment in artists from Europe, especially the UK was still going, at least for Drum and Bass… Because in 2016 they shifted their Dubstep attention from Europe to North America. This was mostly due to Dubstep in general leaving Europe and going overseas to the US and Canada. Artists like 12th Planet, Megalodon were invited to play making this a much more international party. There was still focus on Europe nevertheless: Caspa and Rusko were booked as well as Bukez Finezt. We can talk about 2017 like a throwback to their roots. Eptic came back as well as Fox Stevenson. There was not a big investment in names outside Europe but the quality was still showing. Mostly UKF known names. Last year we had probably the best lineup to date. Andy C, Camo & Krooked, Pendulum, Killbox, Chase & Status,Virtual Riot, PhaseOne, Barely Alive, Flux Pavilion, Doctor P… So many amazing artists that gave us the best of both worlds. An amazing event that will forever stay in the memory of everyone that went and was able to experience it at the fullest. This year, 2019, marks the 10 years of Rampage. It has the same amazing names in terms of Drum and Bass such as Andy C, Sub Focus, Dimension, DJ Hazard, the return of Drumsound & Bassline Smith and many more but this time we have some HUGE Dubstep acts that weren’t so usual in Europe. Excision, the father of Dubstep at the moment is the main headliner for the event. His visuals are some of the best if not the best in the world. We also have Mastadon, a newcomer who is starting to make his appearance in the scene. 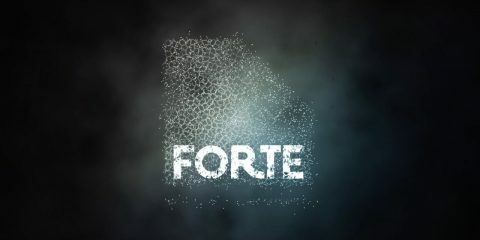 Funtcase’s set will have brand new visuals and will be a solo set. It will possibly be the best Rampage edition in terms of production. If you have seen a Rampage aftermovie or have attended one of the editions you know one thing for sure: their production is AMAZING and off the charts. Last year they upgraded a lot. 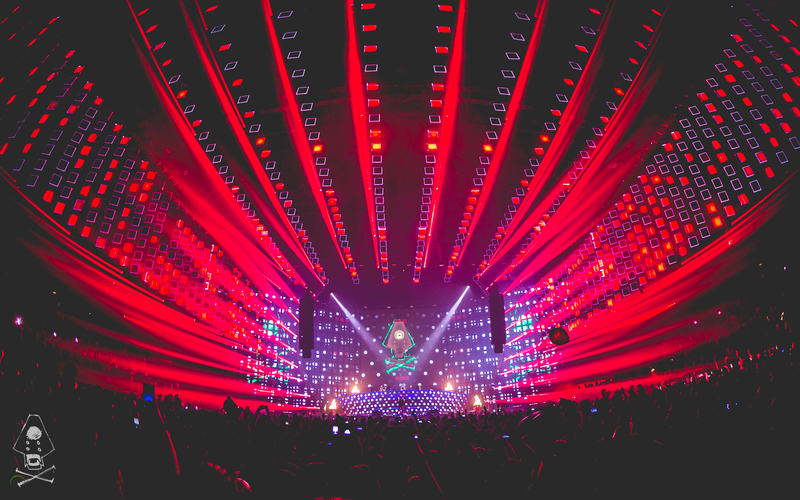 LED panels hanging from the ceiling, moving and displaying the artists and festival visuals. Imagine this at a venue like Sportpaleis. 2017 was marked by Eptic’s set for those who rewatched it on YouTube. LEDs to the left and right of the audience that transformed the experience in something unforgettable. Their production is something really outstanding so this year we hope to see what they bring to the table. With Excision and the brand new Funtcase visuals, there is no room for error and with a good production the sets will have a much greater impact. Something that it is good to see are festivals who don’t stagnate. Rampage is a clear example of that. Not only in production but also in making a bigger and better party. This year they announced a brand new event. 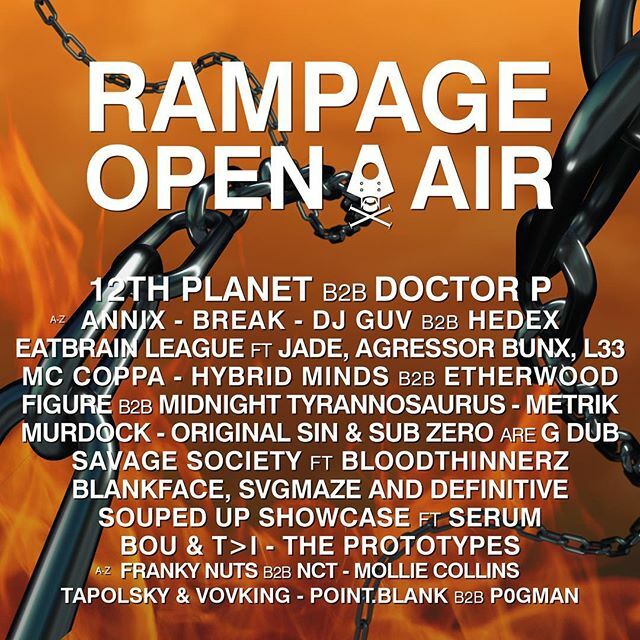 Rampage Open-Air will be an outside festival with 3 stages, one of them 100% Drum and Bass and one 100% Dubstep. We will most likely have a “mainstage” with mixed performances where you can get a feeling of what Rampage is all about. It will have a campsite with great packages if you can’t bring your own tent. It will happen in July as opposed to the main event that usually happens around March. Tickets are already on sale for Rampage ticket holders. The first phase of the lineup is already out and it will for sure amaze all the bass fans around the world! After reading all this we can assure you one thing. 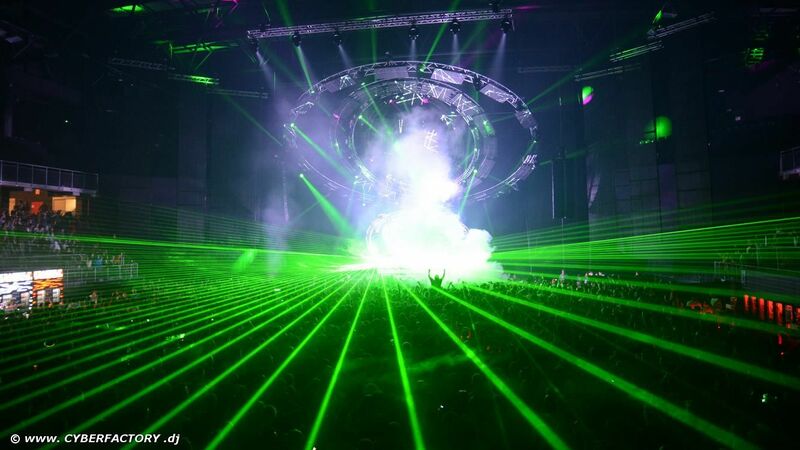 This is by far the best and biggest Drum and Bass and Dubstep party in the world. There is just nothing compared to this. Not only in terms of lineup but also production, ticket price, location and overall crowd. If you’re a fan of any of these two subgenres this is a must go event. In terms of lineup there is a clear focus towards european artists which is good for Europe. We here don’t have as much public as North America or other places like China might have. We need to unite and make the best of what we have. Talent is present every single year and for that we have to congratulate DJ Murdock for his decisions. He is now expanding, mostly in terms of Dubstep, due to the shift the genre is taking. But the adaptation is good and seems to be working for Rampage. 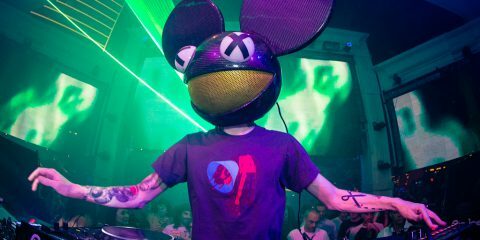 In an interview he gave to Red Bull Elektropedia he was asked what was the next step for Rampage. He answered saying that there was no need to be a next step. Things happen naturally and the size of the event is one of those things. Hans also told us that there was still a lot to be done, and it shows that he has been working on that. Every year that passes the party gets bigger. This year they added a new festival to their roster. We hope to see what they have planned for the next few years, but one thing is for sure: Rampage is here to stay!